Unsurprisingly Sir Richard Branson is the richest man in travel despite losing some of his fortune, according to the Sunday Times rich list. The head of Virgin has fallen nine places from his 2007 position to 20th place, still 74 places ahead of his nearest challenger in the travel sector, owner of easyJet Sir Stelios Haji-Ioannou. Sir Branson's wealth has fallen from £3.1 billion to £2.7 billion within the last year, while Sir Haji-Ioannou has also seen a £1.29 billion decline in his wealth, leaving him with £812 million. Carl Hirschmann has climbed the rankings to 137 thanks to his Geneva-based firm Jet Aviation, while Sir Michael Bishop's wealth has almost tripled in the last year, aided by his 50 per stake in BMI. 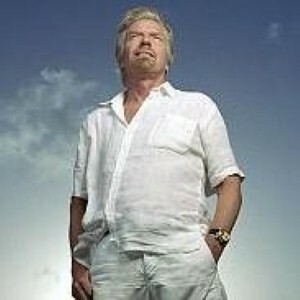 Sir Branson has been busy of late attempting to use different products to power a flight by biofuel. Firstly he tried a synthetic mix of gas to liquid before recently using fuel created from a mixture of Brazilian babassu nut and coconuts.